People get used to say that wishing won't help and, as a matter of fact, it's true. But a new hidden object adventure Bedtime Stories: The Lost Dreams makes difference and uncovers the scene behind the most questioned matter “What if ..?”. Your character is a little boy who gets a rare opportunity to find out what would happen to his relatives if they would have changed their mistakes in the past. Meet funny characters, enjoy lifesaving mission of helping others to react and do things right. You won't ever believe what kinds of trifles may leave the most precious dreams and goals unfulfilled. For example, one might face spiders, cluttered rooms, a mess in the wardrobe or other lovely things that might change the entire course of one's life. 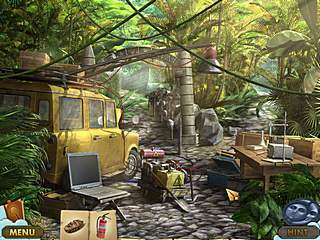 So, we are dealing with four characters whose lives comprise four chapters filled with hidden object scenes, mini-games and numerous puzzles. The main idea of the game is to find out the main reasons that prevented the characters to live a happy life. The plot of the game isn't filled with trivia things, I'm sure that everybody will find something interesting. The first chapter is about a ballerina whose indecisiveness and fear of mice didn't let her go to the stage and meet the worldwide fame of a ballet dancer. The second dream describes the life of a successful detective who didn't recognized the real face of an old lady. It turns out that she is a disguised spy and killer, but these accusations are still to be proved. The third chapter reminds me a romance novel Gone With The Wind, where the main character is your cousin who falls in love with a young adventurer, but it's you who have to decide whether she follows after her dreams or stays working as a mere librarian. The fourth dream is the sweetest. Get ready to create an ideal chocolate recipe and win a prestigious contest of candy-makers. As for me, I really enjoyed playing almost completely 4 different games in one well-written script. All the time happens something completely unpredictable and quite interesting what creates real setting of a dream. In order to advance you have not only to clear cluttered rooms using hints, but also solve much more difficult tasks without any help. For instance, try to scare a mouse or spider with appropriate items, especially if those items are in the list that you definitely won't ever take into consideration. Some locations are rather creative. For example, finding bulbs in complete darkness. 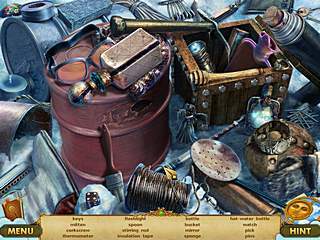 You have a list of hidden objects, hint system and a lot of objects that require much more work than just clicking on them. The game is quite logical and special arrows point you where to go, but it won't really help you if there won't be collected a pack of necessary things and a very good idea how to apply them. The art style deserves more detailed description. 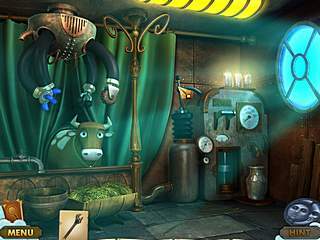 Though the hidden object scenes look traditional for this genre but their graphics make a really good impression: no blurred objects, heaps of absolutely non-stylized items or the same looking objects. Every single detail is well-drawn and looks as it really belongs to the place where it is. I was impressed by animations of the characters and original interaction with animals. I've seen a nice looking mouse and doves which look more like Splinter Cell agents, equipped with night vision and other relevant stuff. But I have to mention that some scenes don't have hints what isn't a bad news for hard-workers. The atmosphere of the game is really captivating and relaxing music supplements it greatly. During the play I felt like watching a good featured cartoon with nice voice acting. For the most part you are followed by other characters with a great sense of humor, at least it sounds much more realistic than you could expect from a HOG game. The game is a great example of family oriented product filled with a batch of funny comics. In this case, the premise of the game is really what it promises. Dimox, точно, спасибо, ступил :)Максим, и еще какая-то, не помню.Larsz, в данном случае, visibility:hidden это только подкрепление свойства dilspay:none, которое в браузерах не отобразится, так как dilspay:none просто не отрисует блок. This is Bedtime Stories: The Lost Dreams review. Download this game here.